Last Christmas, I was stuck for something to get for a relative, and made them a little “IOU” for a fleece top. 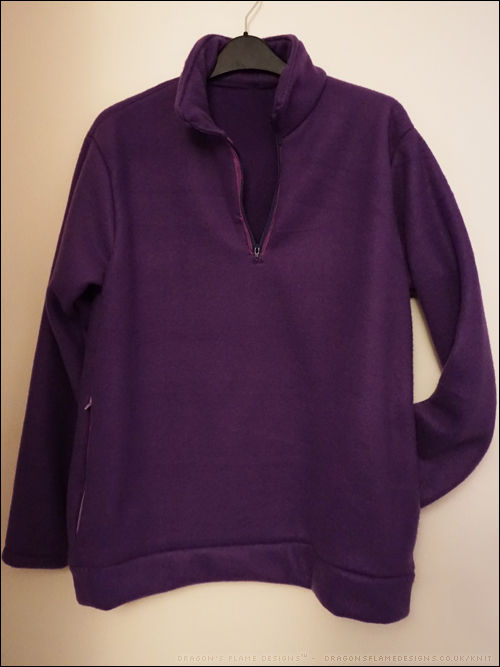 I came across the purple fleece and realised it could work brilliantly with the 5 out of 4 Ascent Fleece pattern*. 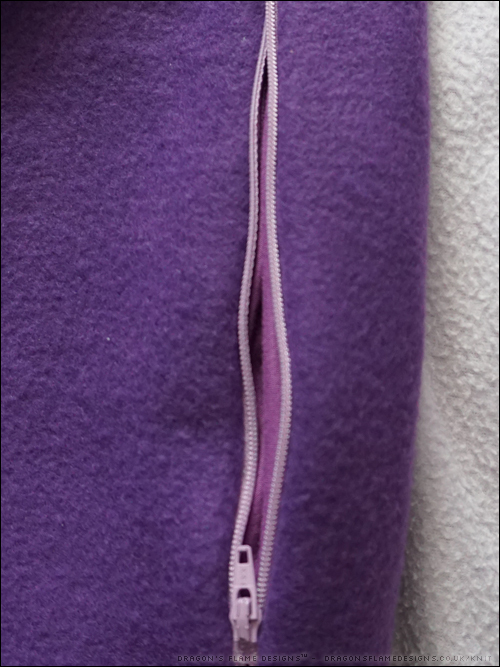 I’ve never attempted to add a zip into fleece before, so this was going to be an experience! 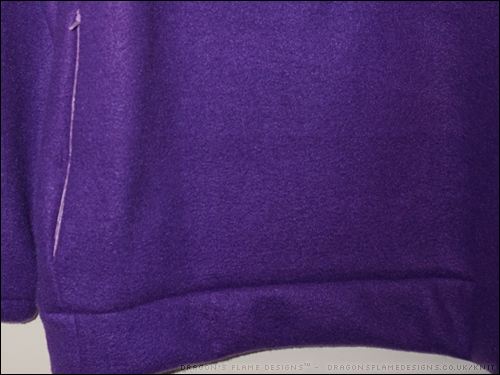 The first part to tackle was the facing for the top zip right on the front. This is the most visible zip, and of course is the one I struggled the most with. My sewing machine really didn’t approve of the jersey I’d picked for the lining being on the base against the feed dogs, and nothing seemed to feed through evenly at all. I decided against unpicking it, and figured that the facing could be a decorative feature at that point. I used the same jersey as the pocket lining, but the relative I made it for has since commented that the pockets feel “funny” inside, and she’d rather have the pockets warm and furry…. so I’ll take that as a hint, and make her a second one so she has a choice! 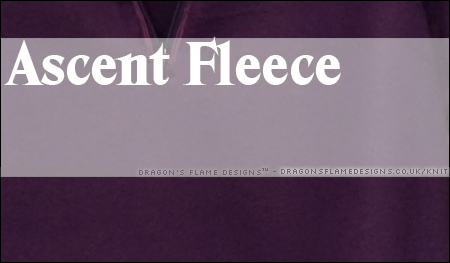 I shortened the pattern to allow for her height, but when she tried the fleece on she commented that it was a bit too short, especially considering the 1″ hem I was going to sew. So I added in a band to the base of the fleece, which also saved the need to get a precise hem pinned and stitched! From a distance, you wouldn’t really know that top zip was a total nightmare, would you? 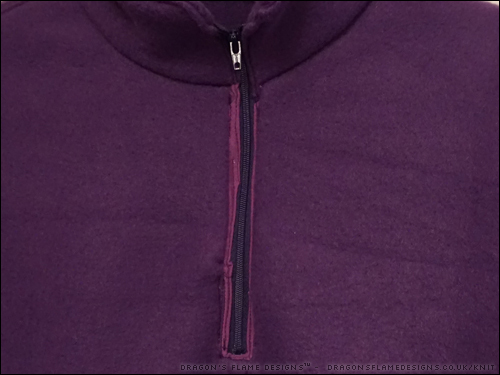 This entry was posted in Clothing, Sewing and tagged 1/4 zip, 5 out of 4, Ascent, clothing, fleece, sewing, Top on February 20, 2018 by Sewist.